New third-party store for iOS 12 – Hello everyone, today I’ve found an amazing new third-party store that gives you full power to download tweaked apps & games on your iOS 12 devices. 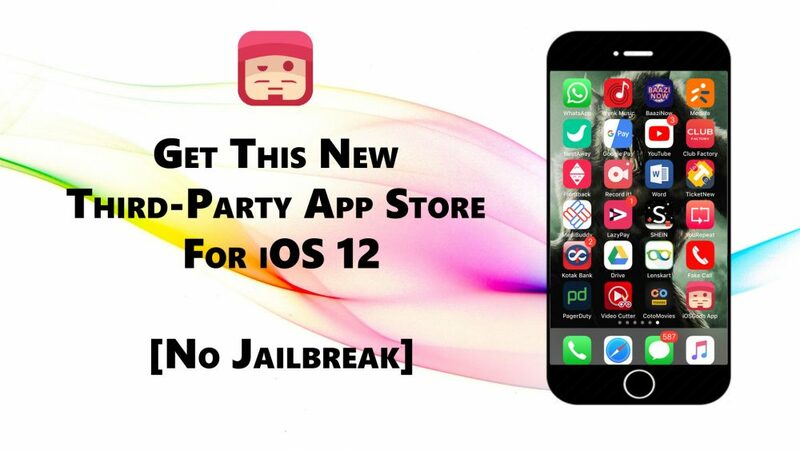 guys, 2 best things about it is that you can download free & without jailbreak too. undoubtedly, it’s true that iOS jailbroke devices users enjoy more in terms of using tweaked apps & games, where non-jailbreak devices users crave to download them on their devices. Because it’s not possible to run all the tweaked apps on non-jailbroken devices. a certain section of jailbroken tweaks do exist that will run smoothly on non-jailbroken iOS devices. Guys, you already know that there are lots of third-party app stores. like, TweakBox, Panda helper, AppValley, HipStore, TutuApp etc. with the help of them, you can download tweaked apps, emulators, screen recorders, movie box and much more. but this one is really really amazing. Guys, that app store about which I’m talking in this article, known by the name iOSGods. It’s far better than some cheap third-party app store and it’s a better way to download all tweaked content in single place. before iOS users can download apps from their website and now they have its application. so now iOS users can enjoy its app. now, let me tell you iOSGods amazing features. So before launching the app, people can use the PC or Cydia impactor to download tweaked apps from the iOSGods website. now, they can download its official application so they don’t need any PC or Cydia impactor. Users can Install Apps Easily. Easy Duplication of an App. All app can be download free from the app store. You can download it on the iOS 12 devices. So the downloading process is pretty simple, you just need to its official website by clicking on the link that I’ll leave below. Guys, make sure you open this website in the Safari app and when you are on the website then you will see its home screen, where you will have an install button. Click on the install button then a pop-up stating that the website is trying to open Settings will come up in front of you. Tap on ‘Allow’. Now, you will see the install profile on your device’s home screen so click on the install button and then enter your passcode then you will see a warning that says “the profile is not signed“. So ignore it and then click once again on the install button and then click done then downloading process will start. so you have to for the downloading finish. Once the downloading is finish then go to your home screen then you willl see the icon of ‘iOSGods App’. When you going to open it and if you see an “untrusted Enterprise Development” pop-up then just go to the settings and then go to the general and then scroll down all the way to profile & device management and trust the iOSGods profile. Now, you can launch the application without hesitation and enjoy the app. If you face some bugs while using the application then you can report to the developer of the app. because the developer of the app is promised to bring new features in the app. so this article was about the new third-party store for iOS 12. guys, go ahead and give it a try and I hope you will like this app and if you like this post then please share it with your friends, family members, and on the social media and also don’t forget to visit daily on this website for reading new and helpful articles like this one.